Recently, we've had a few people reach out asking if we make birthday "pup-cakes" or birthday cakes for dogs. No. We don't. The next question is, "Do you offer anything for doggy birthdays?" Yes. We do. Birthday biscuits. What that includes is our fresh made biscuits swizzled with melted white chips and festive sprinkles. We offer assorted shapes. You get a dozen birthday biscuits per bag for a $5 donation. As of August 1st, we no longer ship our biscuits outside of Connecticut. Also, our drizzle of swizzle can only be shipped during certain months out of the year. We realize that doesn't help out a whole lot to those out-of-state peeps or pet parents who want birthday biscuits during the summer months. What we can help out with is providing you with our recipes to create birthday biscuits and pup-cakes. 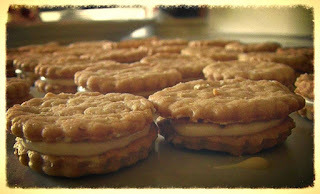 Our recipes are easy to make and inexpensive. These are the recipes we use for our 3 fur-kids. I've seen birthday cakes for pups priced at $20 or more. With a little effort, you can make your own for much less. Here is the recipe for our Bodacious Biscuit Love Peanut Butter Dog Treat recipe. This is the recipe for the treats we offer to the public. 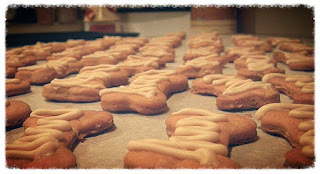 If you'd like the recipes to all of our current homemade dog treats, go here. 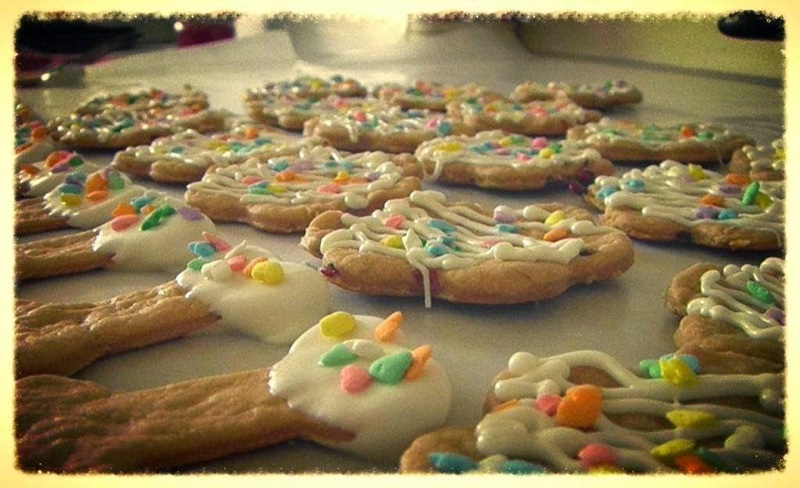 For step by step instructions to drizzle the swizzle and transform our biscuit recipes into something festive, go here. We have several pup-cake recipes that are both human and pup friendly posted here. If you have any questions, please don't hesitate to reach out to us on our Bodacious Biscuit Love Facebook page or email at bodaciousbiscuitlove@gmail.com.